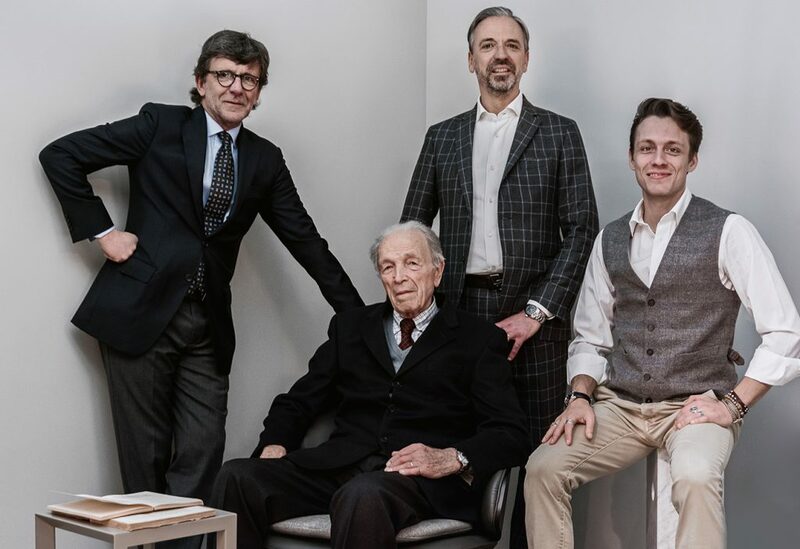 We are the Galbiati family, interior design retailers for generations. Our first store was opened in 1946 in the city of Milan and immediately became a reference point for local and international customers. In addition to our production, exported all over the world, we proposed in our showrooms the best Italian design brands. Today, with 5 stores in Milan, Hong Kong and Lugano, we provide support to private customers and architects from all over the world that want to decorate from one room to the entire house. Besides the multi-brand stores located in Milan and abroad, in 2017 in Milan, we opened two monobrand stores dedicated to Aran Cucine and Presotto. personalised project planning and management service, with an accurate attention to detail. We are specialists in complete refurbishments and interior design projects for houses, contract and work places of different types and sizes. In 1944, the brothers Carlo, Vincenzo and Luigi Galbiati, opened their first business for the sale of handcrafted furniture. In 1948, they inaugurate the Galbiati Brothers of Dionigi company that in 1950 opens the doors of its first headquarters in Milan in Monte Generoso Street. In 2010, with great pride and honour we received the official recognition for our heritage and history from the Lombardia region and the city of Milan.